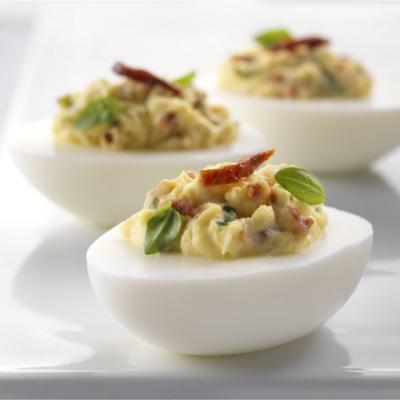 This is an elegant, yet simple appetizer for your next gathering. 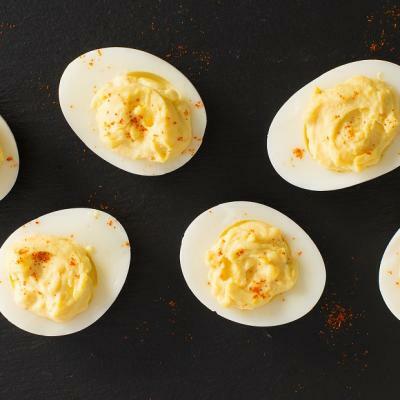 Roasted red pepper, Dijon mustard, dill and a squeeze of lemon give these devilled eggs an irresistible flavour. Top with black caviar for an easy appetizer that’s sure to impress. 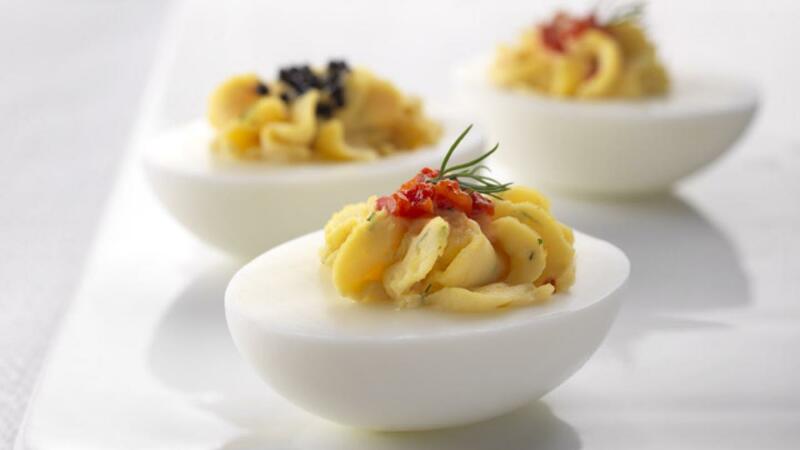 Mash yolks with fork; stir in mayonnaise, mustard, red pepper, dill, lemon juice, salt and pepper. Spoon or pipe yolk mixture into white halves. Garnish with red pepper strips or caviar.